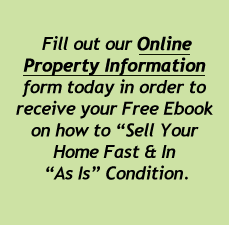 Please give us a description of the property and an approximate amount you are looking to sell it for. The more information you are able to provide us, the faster we can get you an offer! We respect your privacy. All information will be kept confidential and not shared with any 3rd parties.